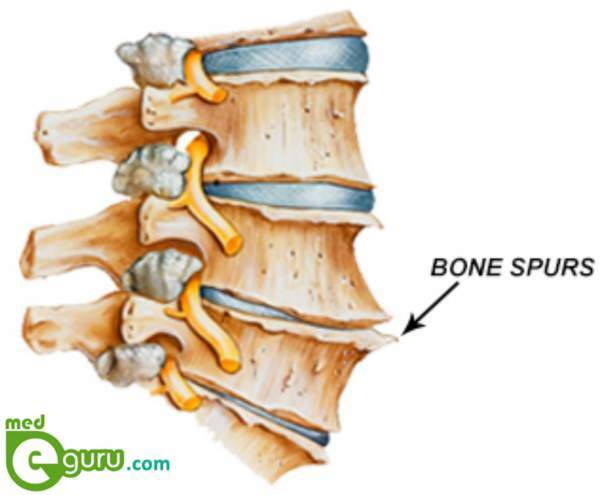 A bony growth that develop on the outline of the bone is called a bone spur. Bone spurs are also known as osteophytes. Usually, they develop in the joints of the bone. It may even form on the spine bones. Osteoarthritis is normally caused due to wear-and-tear damage. Most cases do not show any signs or symptoms for a long. For the same reason, it may go unnoticed. Treatment is not necessary for bone spur. Treatment will be based on the location and severity of the bone spur. If it affects the patient’s health heavily, it requires treatment. The main cause of the bone spur is age-related bone spur. Osteoarthritis also causes bone spur. What are the symptoms of the bone spur? The doctor will conduct a physical exam to determine the location of pain. Bone spurs can be identified during the physical examination itself. The doctor may suggest X-rays or other imaging tests to confirm the diagnosis. Anti-inflammatory medications and muscle relaxants are used for a few weeks to relieve the symptoms. A short period of rest can ignite the inflammation in the joints. In the initial stages, a short period of rest will be very much appropriate. Rehabilitation Therapy i.e. 1 or 2 weeks of physical therapy and exercise will help in alleviating painful joint conditions. Injections: Cortisone epidural steroid injections will be effective for patients with facet joint inflammation. It will reduce swelling and pain. However, the relief is temporary. Spine Surgery : Laminectomy is a surgery indicated for many spine issues. It can relieve pain and other neurological symptoms. The bone spurs are removed through this surgery.